There's really not much of a point for this post because while I still read my friends' list on a regular basis, I don't comment often anymore. And it's even rarer that I post something. Still, the statistics are quite interesting to know. P.S. Actually, I now remember that the statistics are also shown on one's profile but it's been ages that I had a look. Again, this wasn't a very impressive and satisfying year when it comes to the quantity of the books I read in the past twelve months. But as much as I like reading detective novels, I'm happy to say that from autumn onwards I've managed to read a few more substantial books. After all, I studied literature at university a long time ago, and sometimes I felt that reading detective novels only was a bit sad. My plans for 2017 are to read Hans Fallada's novel Ein Mann will nach oben, which I got for Christmas, and Vikram Seth's novel A Suitable Boy, which has been sitting unread on my book shelf for twenty years. And, of course, I'll read detective novels again as well but perhaps not as many as I used to. Guess Who Came to My Town Last Night? When it was announced three months ago that David Gray would come to Germany to play two concerts, I was sure that they would be at venues very far away from me. Imagine how amazed I was when I found out that one concert would take place practically in front of my house. Of course, I decided to buy a ticket and was lucky to get one. It was an amazing evening! It was a solo concert but due to some technical tricks like reverberations and that machine – I have no idea what kind of device it is he uses to record himself playing the guitar and then add more and more melodies although I saw him use it before –, the sound was very powerful. Not to forget the fantastic light effects that gave the church a spherical atmosphere. Like the two times I saw him in concert before this evening was a very special experience, and I'm very happy that he played my favourite song: Nemesis. Not that I know much about Newcastle-upon-Tyne and its surrounding area, despite the fact that I studied there once upon a time, but to me Newcastle and Gateshead always seemed to be very closely knit. When I revisited the area in 2009, the two cities seemed to work together rather well in order to push the entire North-East of England, especially when it came to remodelling the quayside along the river Tyne. But apparently, this river also divides the two cities. While 49.3 per cent of the voters in Newcastle intended to stay in the EU, 56.85 per cent of the votes in Gateshead were in favour of the Brexit. Am I allowed to be as shallow as this and state that I like Alan Rickman's haircut in this trailer? I know that the trailer for this film, which is the last he has filmed, has been out for a while but I hadn't watched it until now. It does look rather good although I have to admit that it's the kind of plot I always end up getting confused by because I'm just not good at keeping track and figuring out all of the strategic and political aspects of such a mission. Imdb.com doesn't mention a release date for Germany yet but I hope I will get a chance to watch it. "But where do you go? I mean, do you go to heaven, or what?" 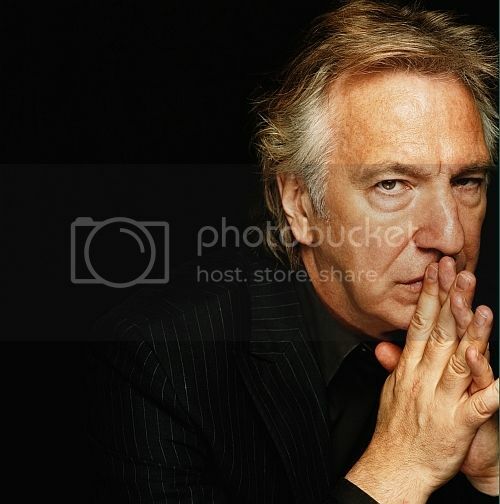 I don't know which news I expected to hear next about Alan Rickman but this news it wasn't. I'm quite unable to grasp the fact that he has died. Admittedly, for the past four or five years my interest in him and his art had been dwindling. I had expected to see lots of him in new and fantastic films after the Potter films had ended. But either he seemed to stay in the States to do theatre or to star in a few films that didn't appeal to me and/or never made it to German cinemas. Still, I've never stopped admiring him for his art and was happy to watch The Butler when it was released here, and I also got to see A Little Chaos. Since I remember that he had mentioned years ago that he wanted do a film about a gardener at Versailles, I'm very glad that he managed to fulfil this dream. Apart from having enjoyed his extraordinary performances in some of my favourite films, I'm particularly glad that I got to see him in John Gabriel Borkman in Dublin and was able to watch My Name Is Rachel Corrie as well as Creditors in London. I would have loved to see many more good films with him, and probably I would have loved it even more to see him direct more plays and films. Every January I start into the new year with the intention of reading more books than I read in the past year but I tend to fail on a regular basis. Assuming that I will finish Villette sometime in the near future, at least I haven't abandoned any book this year. Die Suche Glücksbringer Regenbogen Schlüssel Ich werde mich nicht verlieben… Hoppla! Bin verliebt. Vor einigen Tagen habe ich zusammen mit Alberich auf der Bühne gestanden. Nun, das ist vielleicht etwas übertrieben, denn eigentlich habe ich fast ausschließlich gesessen. Für eine Aufführung von Wagners Rheingold wurden Statisten gesucht, die Publikum spielen sollten, und ich dachte mir, dass das machbar wäre. War es auch, obwohl zweidreiviertel Stunden auf einem Stuhl ohne Pause dann doch ganz schön lang werden können. Trotzdem war es spannend, eine Oper mal aus einer ganz anderen Perspektive zu erleben. Ich habe keine Ahnung von Wagner, aber nachdem ich die Oper nun gesehen habe, ist mir absolut schleierhaft, warum Boerne Silke Haller Alberich nennt. Klar, der "Zwerg", aber Alberich schien mir nicht gerade ein sympathische Figur zu sein. Als Silke Haller wäre ich alles andere als geschmeichelt. 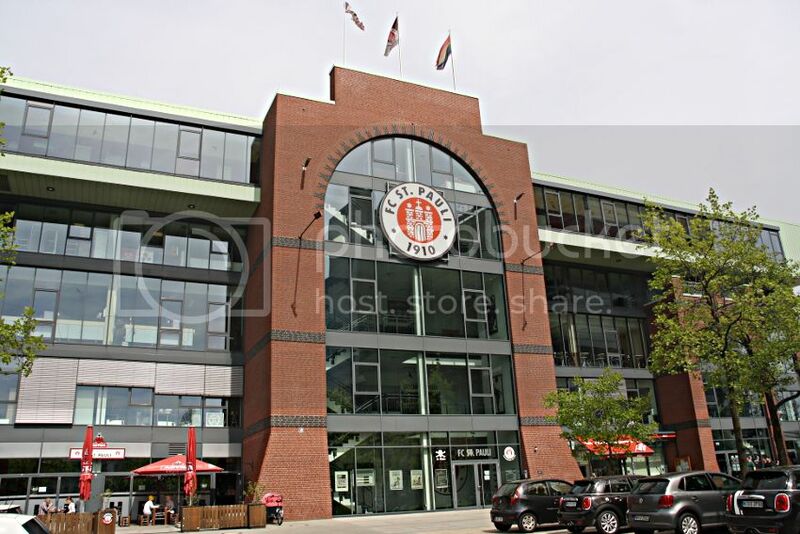 Ich musste einfach beim Stadion am Millerntor vorbeigehen und dort dem St. Pauli-Fanshop einen Besuch abstatten.